Journalist tells the thrilling story of two nineteenth century Yankee reporters who escaped a Southern prison while covering the Civil War. It takes one to know one. Or, in this case, two, as Peter Carlson, who spent twenty-two years as a Washington Post reporter, tells the thrilling story of two famous reporters, Junius Browne and Albert Richardson, who covered the Civil War beat in the South for Horace Greeley’s New York Tribune. Carlson is also the author of K Blows Top: A Cold War Comic Interlude Starring Nikita Khrushchev and Roughneck: The Life and Times of Big Bill Haywood and is a columnist for American History magazine. Browne and Richardson were captured while covering the Battle of Vicksburg on May 3, 1863. Although several of their fellow passengers on a tug boat that caught fire (when shelled) were scalded to death, the immediate future for the Yankee reporters from the nation’s staunchest pro-abolitionist newspaper was bleak. It turned out worse than they imagined. Carlson divides this absorbing book into two acts: Browne and Richardson’s hellish experience in three prisons, and their escape having realized they were likely to starve or die from diseases that swept overcrowded prisons. After nineteen months in jail, Richardson and Browne (with a forged pass) escaped on December 18, 1864, and embarked on an improbable twenty-seven-day trek over two hundred miles of frozen, snow-covered Tennessee and North Carolina mountains. This dangerous undertaking would not have succeeded if they could not have depended on the kindness of strangers. “God bless the Negroes,” Browne gratefully exclaimed, as slaves fed, hid, and guided the starving Union reporters to the mountains, despite the beatings or death they would likely confront for helping Northerners. The mountains were riddled with Confederates but were also home to anti-slavery sympathizers. 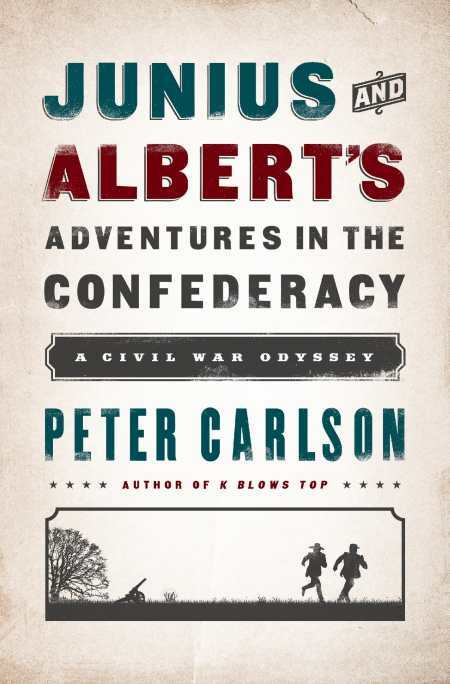 In Junius and Albert’s Adventures in the Confederacy, Carlson raptly portrays the heroics of Dan Ellis (“Old Red Fox”), Melvina Stephens, and numerous other guides who led Browne and Richardson to Union troops near Knoxville on January 13, 1865. This thoroughly-researched page-turner relies on contemporary newspaper accounts and both reporters’ memoirs: Browne’s Four Years in Secessia and Richardson’s The Secret Service, the Field, the Dungeon and the Escape. Carlson’s character development vividly transforms the nineteenth-century reporters into traveling companions who will engross readers with their tale of “A Thrilling Capture, a Long Confinement, and a Marvelous Escape,” as a Tribune headline described the adventure on February 8, 1865.